On January 25th, people around the world celebrate the birthday of Scotland's most revered poet, Robert Burns. Paying homage to his memory with a series of boozy toasts, single malt whisky has forever been the drink of choice to commemorate the anniversary of Scotland's most famous son. For a contemporary-twist on this traditional tipple, premium Scottish whisky anCnoc is renowned world over by malt enthusiasts. With versatile flavours across a variety of expressions, anCnoc's embodiment of all things Scottish makes it the ideal toasting tipple of choice for your Burns Night celebrations this January. The anCnoc 12-year-old is renowned the world over as a must-have and will tantalise the tastebuds of any whisky-lover. Soft and aromatic on the nose, it has hints of anCnoc’s signature flavour notes of honey and lemon which result in a long, smooth and warming finish - ideal for soothing the throat following the compulsory Burns Night poetry recitals. The gentle amber colouring comes from its maturation in American oak ex-bourbon and ex-oloroso casks, which deliver a fantastic flavour profile with a surprise at each twist and turn, echoing the variety of Burns’ legendary work. Recognised with a 2018 International Wine and Spirit Competition Silver Award, this is a fantastic entry level dram, the perfect present for new whisky converts or more seasoned spirit experts. With notes of gentle spices, sweet dried fruits, chocolate and ripe oranges, anCnoc’s 18-year-old would make a delicious dram for any drinks connoisseur this Burns Night. An IWSC 2018 Gold award-winner, the whisky is full-bodied and bold, allowing the spices to shine through followed by flavours of fruit loaves and candied lemon. anCnoc’s characteristic vanilla is complemented by honey and caramel twists. To finish, the 18-year-old transforms from peppery and hot to deliciously sweet and smooth - perfectly complimenting the meaty Burns Night staple of haggis, neeps and tatties. 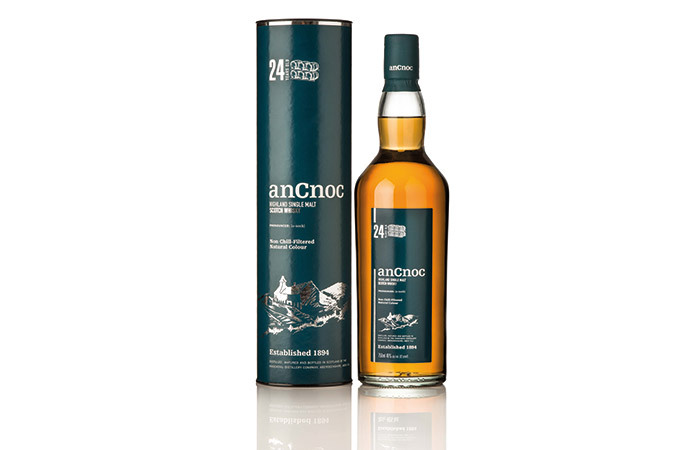 If you want to pull out all of the stops this Burns Night, then look no further than the anCnoc 24-year-old. Renowned as a must-have in any serious whisky drinker’s collection, this is a citrus-forward dram (think lemon peel and home-made marmalade - and lots of it!) with creamy vanilla toffee, honeyed barley, old leather and oak-y hints rounding it off, its depth mimicking that conveyed through the poetry of Scotland’s most famous son. Recipient of a Silver Outstanding award at IWSC 2018, the coveted anCnoc 24-year-old has matured in Spanish and American oak casks and is certain to impress. 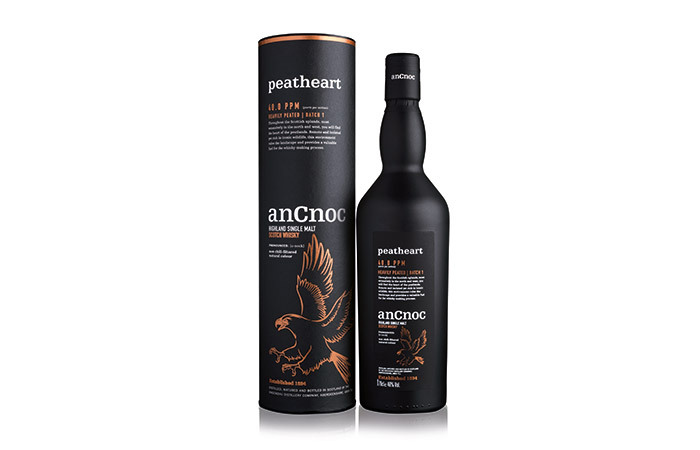 Peatheart is the latest addition to the award-winning Peaty portfolio. This smoky dram is the perfect winter warmer to keep you cosy this cold January. Peatheart results in an intensely warm, yet smooth, finish, helping to ease any over-indulgence in the Burns Night supper. The expression delivers an initial smoky burst on the nose which surrenders to a surge of fruitiness, with ripe pears, apples and lime cutting through. To taste, smoky flavours are laced with leather and sweet stewed apples closely followed by chocolate and sweet vanilla. Recipient of a Silver Award at IWSC 2018, dark, but delicate, Peatheart is the ideal dram for connoisseurs looking to explore a different side of whisky.